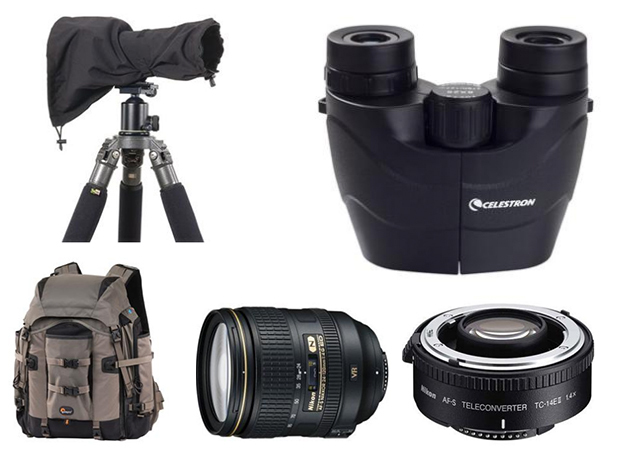 All of the newest gadgets and constant technological changes might drive Tom crazy, but there is no denying that he knows a thing or two about choosing the best gear for his amazing wildlife photography and nature photography adventures. 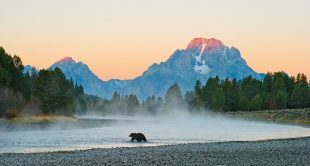 After 40 years of photographing jaw-dropping images of bears fishing in streams in National Parks or wild animals roaming across the plains in Africa, he’s learned what works and what doesn’t – at least for him. “I like heavy cameras because they are steady,” he explains. He’s also partial to Nikon – it made economic sense to upgrade to one early in his career and he’s stuck by them ever since. That doesn’t mean he’ll tell you to use Nikon gear. He won’t. He says there are just too many variables to make blanket recommendations, but he will tell you what he uses. And that’s a great place to start. And how does Tom know what to buy? “I talk to a few buddies and they say this is what I use and these guys are real gear freaks.” And that’s enough for him. It’s a decidedly low-tech approach, but given his many accolades – Wildlife Photographer of the Year by BBC, Most Influential Nature Photographers by Outdoor Photography, exhibits in the San Diego Natural History Museum, The Natural History Museum in London, and the Joslyn Art Museum in Omaha, Nebraska – it must be working. If you’re looking to get set up with the best wildlife photography gear and be the next National Geographic hot shot, this is a great starting point. To get even more insights from Tom and hear exactly what he has to say about his gear picks, check out his class, the Art of Wildlife Photography.